A great article discussing the increased amount of traffic on Rawhiti roads because of the Canterbury dive launch. Visitor traffic to the Far North’s new dive attraction, the Canterbury in the Eastern Bay of Islands is putting a strain on already inadequate infrastructure in the Rawhiti area say locals. 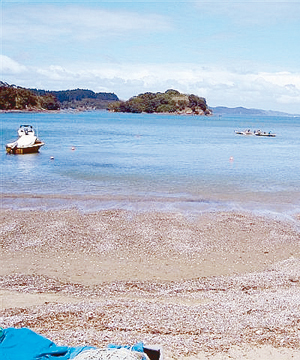 Residents, including iwi, embraced the Bay of Islands Canterbury Charitable Trust’s campaign to sink the wreck at Deep Water Cove but there is now a serious need for the council to upgrade the road, says Richard Witehira. Perhaps Rawhiti’s roads will be improved because of the increased traffic?